There’s a universal push towards ‘autonomous everything’: autonomous cars, autonomous drones, autonomous shuttles, autonomous buses, and more. We think radar is one of the key foundational technologies for this autonomous everything revolution. Here’s why. The arrival of a future powered by autonomous vehicles — everything from automobiles to drones to forklifts — isn’t a question of if, but when. In fact, autonomous taxis are already operating in Singapore, and autonomous shuttles are being used and tested in the U.S. in places like Arlington, TX and Lincoln, NE. Major advances in data processing, mobile computing, and artificial intelligence are vital technologies for such a reality. But to be able to even have any data to process or analyze in the first place, how will these vehicles get the data? In humans, our brains process data that’s received from our eyes, ears, nose, skin, taste buds, and more. These are analogous to sensors: they perceive elements of the physical environment surrounding us, and these observations are transmitted to our brains for processing and understanding. When humans drive a vehicle, our bodies are continuously receiving data from our ‘sensors’ — our eyes, primarily, but also our other senses — and sending these data to our brains for processing. We can then decide if we should maintain course, if we need to put our turn signal on because we’re arriving at our destination, if we need to slow down because a family of geese is crossing the road, or if we need to speed up to pass another vehicle. 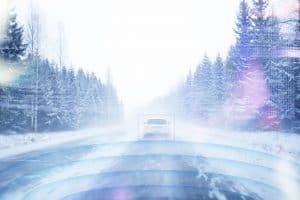 Vehicles need sensors, too, to gain situational awareness: where the vehicle is, what time of day it is, what the weather conditions are, where it’s headed, the vehicle’s speed, and more. Just as the human body needs different types of sensors — eyes, ears, nose — to gather different types of data, vehicles in the autonomous future do as well. Sensors such as cameras, accelerometers, infrared sensors, and others are all critical for enabling the autonomous future. One other indispensable technology not to be overlooked that enables such situational awareness is advanced radar technology, such as technologies offered by Ainstein. Radar technology uses radio waves to sense the location and/or velocity of an object. Through so doing, an autonomous vehicle — whether a driverless taxi, an autonomous forklift in a warehouse, or a drone flying beyond visual line of sight (BVLOS) for precision agriculture — knows not only its own location and speed relative to its surroundings, but can also tell if there are pedestrians crossing the road, another warehouse worker inspecting a stack of products, or an overhead electric line that needs to be avoided. Additionally, because of the nature of the signals that radar utilizes, radar’s performance doesn’t degrade in conditions of low light, fog, rain, snow, or blowing dust or sand — which makes radar ideal for real-world use cases where these conditions and more are commonplace. 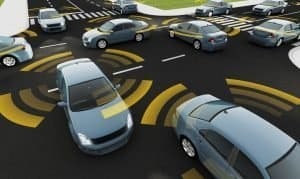 For these reasons and more, inclusion of radar sensors in an autonomous vehicle’s technology stack is a vital practice to ensure safety, functionality, and redundancy. Interested in learning more? Contact hi@ainstein.ai to find out how Ainstein’s advanced radar technology can be used to make your products and processes more autonomous, too.